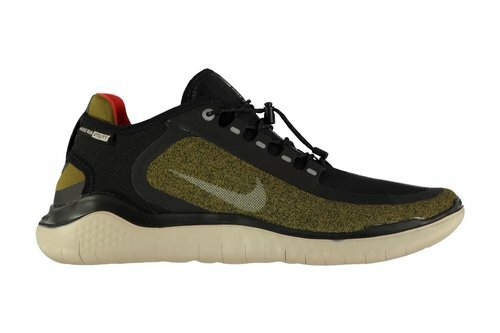 Take your run to new places on tougher terrain with these Nike Free Rn 2018 Shield Mens Running Shoes in Olive and Black. 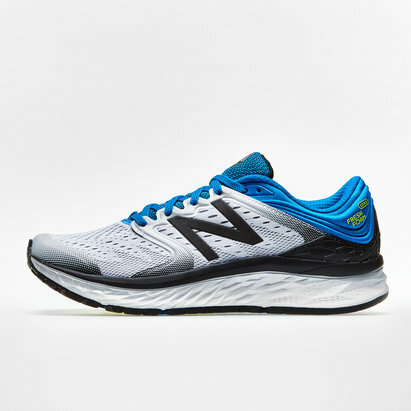 The water-repellent upper helps keep your feet dry, while reflective elements enhance your visibility to keep you seen. 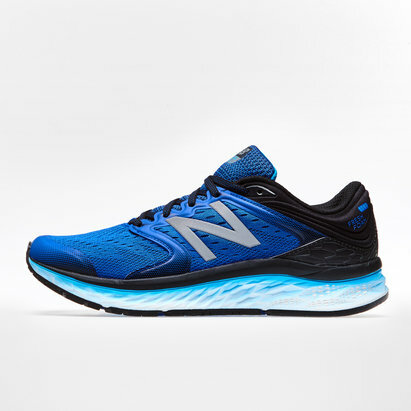 A water-repellent upper combines with balanced cushioning to give your run a boost of confidence despite the weather. Auxetic tri-star pattern is hot-knife cut into the outsole for natural foot splay while providing balanced cushioning. Soft, stretch material on the upper enhances flexibility. Partial inner sleeve wraps the foot for a snug, comfortable fit. Notches on the tongue help with quick on and off.